I want to begin by saying “Happy Waitangi Day” to my fellow Kiwis and to those who have made Aotearoa-New Zealand their home. As I write this page, there is only one hour left of our National Day; my aim is still to push “send” before the clock clicks over to midnight. My prayer is that you’ve had a wonderfully relaxing day and that whatever you’ve done (or not done) that you have, at some point had opportunity to reflect on how blessed you are to live in this beautiful land; to reflect on how abundantly the God of Nations has loved and still loves this place. 175 years ago in 1840 the Church through its missionaries helped make possible Te Tiriti o Waitangi / the Treaty of Waitangi. The Church played an important role in laying the foundations for this nation and has continued over the past 200+ years to proclaim the Gospel of Christ to its inhabitants. What part should we, the Church, play in modern, 21st century New Zealand? While the church is a declining force in our society numerically it still has an important contribution to make to the creation of civil, tolerant, inclusive society. Rather than act as chaplain to the nation, the question is, how far the vocation of the church is to be that of a prophet at the gate? The role of the prophet is to ask the hard questions. Rather than speak from the centre, the church is finding more and more that its position is alongside those on the edge. People of Israel, what does the Lord your God want from you? The Lord wants you to respect and follow him, to love and serve him with all your heart and soul, and to obey his laws and teachings that I am giving you today. Do this, and all will go well for you. The Lord defends the rights of orphans and widows. He cares for foreigners and gives them food and clothing. And you should also care for them …. (Deuteronomy 10:12-13,18-19). Let’s ask that in a slightly different way: people of the Lutheran Church of New Zealand, what does the Lord your God want from you? Theologian, Walter Brueggemann, commenting on these verses from Deuteronomy said that loving and serving God is expressed in practicing a missional (or missionary) ethic to execute justice, provide food and clothing, and to love the stranger. Can’t you also hear someone else speaking to you / us / the Church here … one who said the same sorts of things about loving our neighbour and our enemy? Didn’t Jesus also invite his followers to break bread and share wine, coming together as many diverse people, united around one table? Te Tiriti o Waitangi reminds us of the original commitment between two peoples to work together for the good of Aotearoa. Indeed, we Lutherans, by virtue of the fact that we have been born here or have chosen to live here, are partners to the Te Tiriti, and in the spirit and bonds of love in which we meet and live, we have been invited to be the means by which God’s love – not just in words, but in actions and attitudes – can come to life in this nation of Aotearoa. Sing a song of Aotearoa / New Zealand guarded by the sea; Mountains, lakes and braided rivers, Home to peoples blest and free; Whanau, families - hoping, dreaming, For a land of peace and love, Where true aroha is given, Under Southern Cross above. Sing a song of Aotearoa / New Zealand shaped by the sea; Land is groaning, tears are falling For the hope of unity; Māori, Pakeha together Live upon this common ground, Working, saying, looking, praying Truth and justice may be found. Sing a song of Aotearoa / New Zealand washed by the seas; Joy and sadness in its peoples' Whakapapa, family trees; Men and women and their children, Tane, wahine, tamariki, Riches found in many cultures, Wealth seen in diversity. Sing a song of Aotearoa / New Zealand formed by the sea; Struggling with the past and present With the debts of history. Mana, power, sought and given, Sometimes used for good or ill, Hopes for reconciliation, Truth to find and hopes fulfil. Please pray for these meetings, that debate, conversation, and decisions may give glory to God and seek to strengthen the Church in its call to participate in God’s ministry of love to the world. REFRESH is coming to a place near you if you’re in the North Island (to the main-landers – we haven’t forgotten you, and will plan something that meets your needs as well). 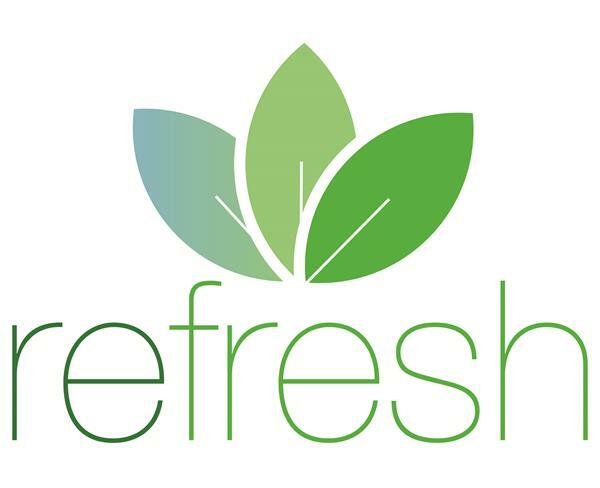 REFRESH is an LSM initiative; a one-day event to inspire, encourage and equip you for ministry in your local context. For now, REFRESH will replace Kogudus. Every congregation has received information on the two REFRESH events planned for March and April, so please make sure you pick up a registration and information flyer. Just a reminder again, that if any of you are near Wellington, Palmerston North or Auckland in mid-late March, make sure you get along to hear Ensemble Nobiles. Ensemble Nobiles visited New Zealand in 2009 and performed a concert at St Pauls Wellington and sang for morning worship there as well. They’re coming back again in March to perform a concert with the Anglican Cathedral Choir and to sing for worship at St Pauls, and then to perform in other places in New Zealand. The five young men who make up Ensemble Nobiles met each other during their nine-year education in fine arts as members of the St. Thomas Boys Choir Leipzig (this is Johann Sebastian Bach’s choir and church). Their repertoire ranges from late medieval mass songs to modern age works. I got a wonderful surprise today when the young men of Ensemble Nobiles sent me a special Waitangi Day message; their version of our National Anthem. Check it out at –https://www.youtube.com/watch?v=oSmZmkwtpXI. God loves all people and his love endures forever. We are called to serve God together. We strive to do this by growing and nurturing our own personal relationship with our Heavenly Father to become equipped to build new relationships. Our true purpose is to connect all people with our awesome God. In Harrison Street there are 142 houses. In our street we are aware that people are struggling socially, economically and spiritually. In our street we are aware that people are hungry and are in need of the basic necessities of life. In our street people need the love of God. We have a purpose as Harrison Street Community Church; to share the Good News with the people in our street. Are you encouraged by reading that? I am. Please pray for Phil and his team of dedicated people who have been led by the Spirit of the loving Lord Jesus into this mission and ministry passion and vision. Billy and Tesser Werner have been appointed and installed as Community Youth Workers in Upper Moutere. Billy and Tesser replace Abbey and Andy Bensemann who concluded their ministry at the end of last year. God of grace, through your Holy Spirit, gentle as a dove, living, burning as fire, empower your servants Billy and Tessa for their ministry as Youth Workers in Upper Moutere. May every grace of ministry rest on these your servants. Keep them strong and faithful, steadfast in Jesus Christ our Saviour. Amen.